We analyzed 128 reflection notes that the students of English wrote in connection with their portfolios to see how they perceive formative feedback. The figure below shows the portfolio process that the students were involved in. They were given three assignments which they received feedback on (teacher, peer and mixed feedback) before revising and submitting. Students were also given the opportunity to discuss the feedback they received in class and ask for clarification. They wrote reflection notes during the semester, as well as when submitting their final portfolios. They were asked to reflect on how satisfied they were with their assignments, what the feedback told them to revise, what they learned from the feedback, what revisions they made, and what helped them successfully complete their assignments. sometimes questioned the ability of their peers to provide adequate feedback. The main concern was the lack of constructive criticism, which leaves the students without guidance on what needs to be improved and how. make sense of the feedback and take action to improve their work, e.g. using verbs such as “improve” and “revise” to report how they acted upon the formative feedback they received. One interesting finding was that oral peer discussion sessions were generally highly valued by the students. None of the students in our study used the term feedback to refer to this kind of informal peer review, even though the main function of peer discussions was to provide feedback on each other’s work. We think oral peer discussion groups is a more effective and useful way of conducting peer assessment – instead of formalized written commentary. In the discussions, students not only help each other, but make sense of the teacher feedback and select the right revision strategies. 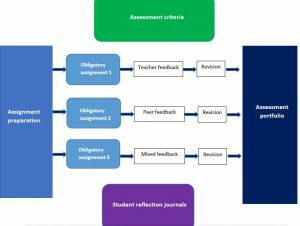 If you would like to read more about our analyses of the student reflection notes, visit the article’s home page here. Your institution needs to subscribe to the journal in order for you to download the full article. What institutional factors have been significant for project implementation? Institutional support is a crucial factor for successful implementation of any educational innovation. 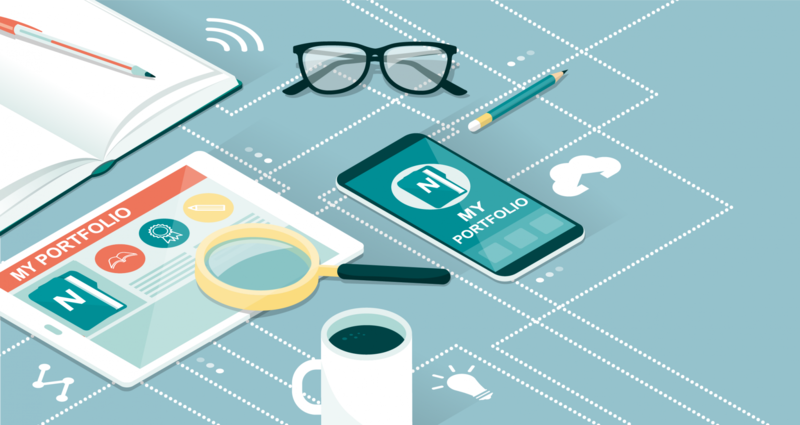 The significant role that digitalization plays in the institution’s policy documents makes projects such as these valued and welcomed at the institutional level. What structures need to be in place to support the staff in implementing new digital practices? IT support seems crucial, especially on matters that relate to local network and services. Clearer routines, a good overview of the services offered, a help/troubleshooting center for implementation of digital tools in teaching and an arena for sharing the best-practice examples and tips are certainly assets to any institution that has digitalization as its aim. When it comes to assessment practices, any implementation of innovation in requires support from the leadership and the administrative services. The current project is being conducted at the time when teacher education is undergoing significant changes, moving to a 5-year Master education. As a consequence of this reform, the institution has encouraged revision of the course plans and reassessment of examination practices which opens up for innovations of this kind. Still, many obstacles arise along the way. As this project focuses on formative assessment, we have had a considerable amount of freedom in implementing different ways of assessing student learning throughout the course. However, the project has also heavily centered on obligatory assignments that the students must complete in the course of the term, which are in the end included in the final assessment portfolio. Obligatory coursework and the final examinations are subject to various regulations at the national and the institutional level. Navigating through relevant guidelines and policy documents can at times been challenging and the institutions might want to consider how these could be made more accessible to the teaching staff. It is also important to ensure that the guidelines are flexible enough and formulated in a way that opens up for different assessment practices and encourages the teaching staff to explore new ways of assessing student learning. Efforts to standardize assessment and evaluation practices across campuses and institutions, though potentially having many positive aspects, can at the same time be felt as obstacles to innovation. Based on our experiences so far, we cannot but conclude that determination, effort, and good-will is needed from all the parties involved to successfully implement new assessment practices that relate to exams and/or obligatory coursework. At the same time, we have learned that there are many small changes that one can make in one’s own teaching to promote classroom assessment practices that will hopefully improve student learning.